Just regular folks. : Extreme Acro Gymnastics. This looks so fun. 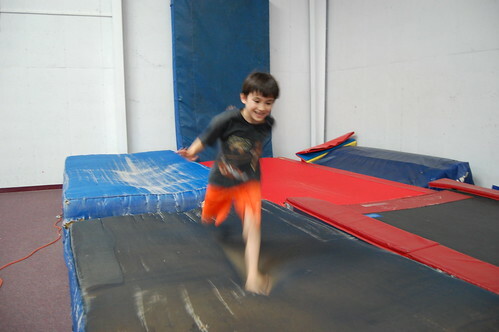 Trampolines with lots of padding rock! I love the fact that you guys had cooler weather earlier in the week. We are on our 4th day of record breaking triple digits and our 12th day of triple digits. Nothing like going to be and it is 90 degrees and getting up and it is 90 degrees. More cool weather, sweat shirt stories please. P.S. Noel Where there is one snake there are usually two. Keep that camera handy! Doris where are you and your post? 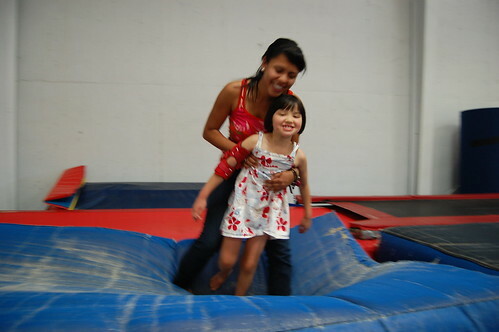 For children, bouncing on a trampoline is great fun and a perfect way for them to burn off extra energy and stay in shape. Adults can also stay in shape using a miniature trampoline. Rebounding is the term used to describe trampoline exercise, and is an enjoyable, low-impact way to tone the body and burn fat.